I am on Spring Break this week, which actually means I have a hundred and one projects I want to get done. I painted our bedroom the majority of the day today. Joe didn’t have to go in to work until 2 today so he watched Riley, while I conquered painting our room with an 18 foot wall. Heaven help! I’ll be sure to post about it, but tonight is a quick post since I’m exhausted. Since Joe had to work it was Riley and I tonight for dinner. She still doesn’t eat meat so I decided on a simple, yet delicious salmon adopted from Good Housekeeping’s Light & Healthy Cookbook. The great thing about this recipe is that I always seem to have the ingredients in the house. The sauce is enough for four servings and I always make the four serving amount because my husband will use the sauce on sandwiches leftover. Start off by seasoning a salmon fillet with salt and pepper. Then broil the salmon on high for 8-10 minutes. 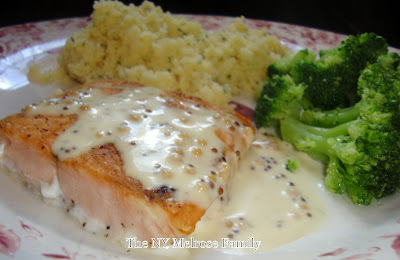 While the salmon broils make the sauce. 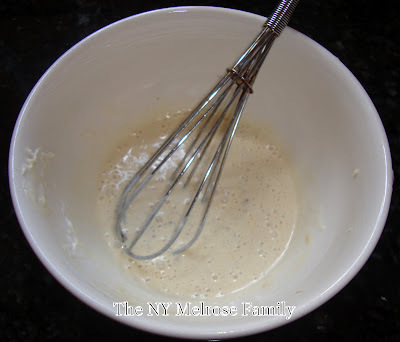 You’ll need: 2 tablespoons mayonnaise, 1 tablespoon white wine vinegar, 2 teaspoons Dijon mustard and 3/4 teaspoon sugar. That’s it! Mix all four ingredients together and you’re ready to top the salmon with the sauce. I love this sauce because you can see the Dijon in the sauce, which means you can definitely taste it. Serve the salmon with couscous and a side of broccoli. Riley had couscous, broccoli and avocado. 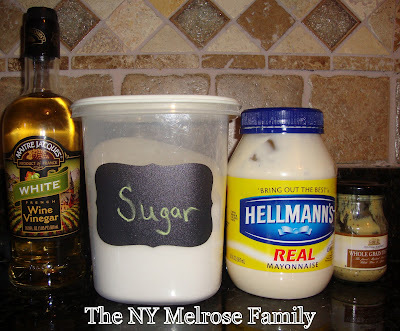 Quick and easy, which is perfect for the Spring time. Don’t forget that Whimsy Wednesdays 5 with a giveaway from Emmaline Bags is going on still as well! That sauce looks delicious – I think I know what I'll be serving with the results of this weekend's fishing trip! This looks great! 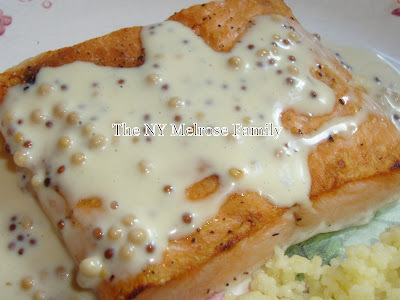 We love salmon and my husband loves anything with a mustard sauce. I would love for you to link it up to my link party. I know my readers would love it too! Looks good!! Thanks for sharing at Sharing Saturday!! Yummy sauce! Thanks for sharing at Shine on Fridays! That sauce looks amazing! I can't wait to try it on fish and chicken! Thanks for sharing this at our “Beautify It Monday” Party! We hope you'll be back again next week! I just want to tell you that I’m beginner to weblog and certainly loved this web page. More than likely I’m going to bookmark your blog . You actually come with good posts. Kudos for revealing your blog site.